*We also do "On the Farm" machinery repairs as required. *Emergency Farm Machinery Repair Services "in the field" just a phone call away! *Look to John's Place for custom made hydraulic hoses and battery cables. 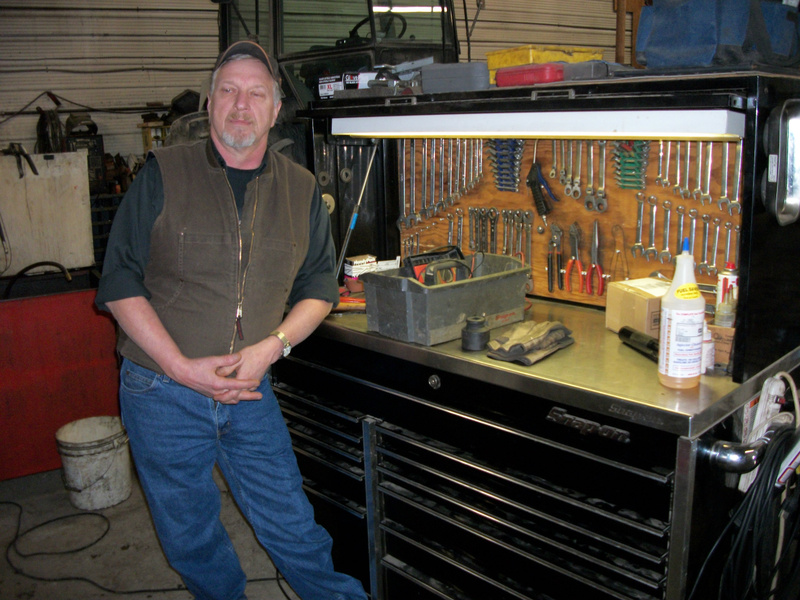 John Toornstra the owner and founder of John's Place Inc. has been at the centre of equipment repairs since 1973. He quickly established his reputation as a talented licensed auto mechanic who could "figure things out" and make it run as new. "My earlier years at Webster's Chrysler dealership allowed me to really develop my automotive repair skills" notes John. Growing up on a family farm, John received early on the job training as he kept his father's farm machinery working and in the field. It was that passion to work on farm equipment and cars that lead him to a background of training with a area farm dealerships, first in Walaceburg at a Allis Chalmers, New-Holland, Deutz and short line farm equipment dealer. Later he would go to work at a Massey Ferguson-White dealer in Dresden becoming their Service Manager. In 1994 John decided it was time to "do his own thing" as he set about to establish John's Place Inc. And, as they say, "the rest is history". Today John's Place Inc. is a modern, well equipped farm and auto repair centre that is second to none. Pay them a visit soon. You'll be glad you did. If you require do-it-your self tractor or combine replacement parts then contact John's Place Inc. Working with their customers they obtain the parts needed at the best possible price from key North American parts distributors.